Printmaking played a crucial role in the creation of Reynolds’ reputation. Hundreds of prints reproducing his paintings were issued during his lifetime. Some were commissioned by the sitters, for distribution amongst friends. Many more were commissioned by commercial print publishers for sale in Britain and abroad. The prints shown in this room are mostly mezzotints. This technique used fine indentations in a copper printing plate to create tonal gradations which could do full justice to Reynolds’s dramatic use of light and shade. The best printmakers competed to reproduce Reynolds’ portraits of his most celebrated subjects. But many eighteenth-century printmakers felt aggrieved at the tendency of painters to dismiss their work as mere copying. 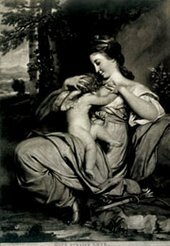 So the irony was not lost on them that the notorious instability of Reynolds’s pigments meant he was dependent on prints to spread his reputation and to preserve the appearance of his work for posterity. Reynolds, unlike some other painters, did not aim to profit financially from such productions; he and his sitters reaped the rewards of extensive free publicity. 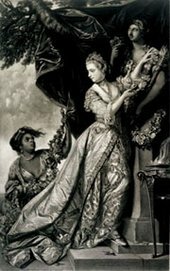 Lady Elizabeth Keppel and a servant are shown arranging a garland around a statue of Hymen, the god of marriage. The picture commemorates Lady Elizabeth’s role as bridesmaid at the wedding of George III and Queen Charlotte in 1761. The Latin inscription, from a celebrated classical marriage poem by Catullus, invokes Hymen’s blessing on the happy couple. The inscription also gives the price of the print: fifteen shillings (75p), more than a maidservant would earn in a month. 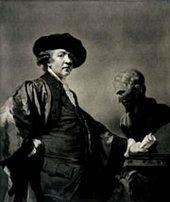 I know no Painter, the Remembrance of whose work will depend more on the ART of ENGRAVING than that of Sir Joshua Reynolds. This was the first of a number of prints to be made after Reynolds’s portrait of the celebrated actor, David Garrick. Reynolds’s painting paid tribute to Garrick’s extraordinary versatility, which allowed him to take on both comic and tragic roles. 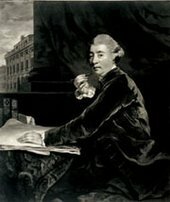 Garrick was a master of self publicity, and had been the subject of many paintings and prints since the 1740s. This one continued to be sold well into the nineteenth century. 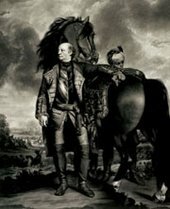 The Marquess of Granby was one of the most successful commanders of the British Army at the height of the Seven Years War. He is shown here as Colonel-in-Chief of the Royal Horse Guards. 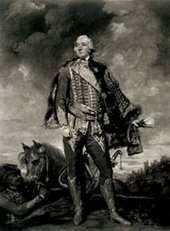 Granby’s status as a symbol of Britain’s victory in the recent war inevitably generated interest in the production of a print of Reynolds’s portrait. It was entrusted to the Irish printmaker, James Watson, one of the most skilled mezzotint engravers then working in London. Reynolds exhibited the original portrait of the actress, Miss Morris, at the Royal Academy in 1769 with the title Hope Nursing Love. Sadly, she died barely a week after the exhibition opened. 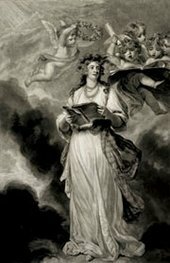 By the time Fisher’s mezzotint was published in 1770, any association between Miss Morris and her mythological counterpart was diminished. The print’s commercial appeal would have relied almost entirely on its subject matter: a beautiful young woman suckling an amorino. Polly Kennedy was a celebrated high-class prostitute. By the time this print was published Joseph Banks was Britain’s most famous botanist. From 1768 to 1771 he had taken part in Captain Cook’s celebrated round-the-world expedition on board the Endeavour. This was reflected in the painting by the prominence of the globe at his elbow and the Latin inscription from the poet, Horace, on the letter; this reads ‘Cras Ingens iteramibus aequor’ (Tomorrow we will sail the vast deep again). a very EXTRA- ORDINARY woman; she has a Constant stream of conversation, and it is ALWAYS IMPREGNATED; it always has Meaning. 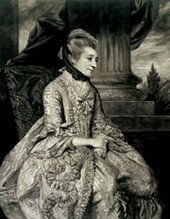 Elizabeth Montagu was a writer and critic who used her considerable wealth to help poverty-stricken women writers, amongst other charitable causes. 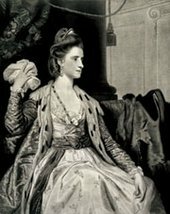 She also held informal meetings to discuss art and literature with like-minded women such as Fanny Burney and Hannah More. The whereabouts of the original painting is now unknown, although Mrs Montagu thought there was ‘a good deal of flattery in the likeness’. Elizabeth Sheridan, shown here in the guise of the patron saint of music, was a beautiful and talented singer. 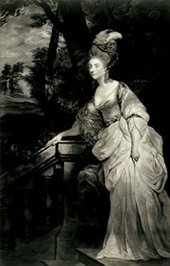 Reynolds’s original portrait of the Duchess of Devonshire, on which this print is based, was shown at the Royal Academy in 1776. Georgiana Cavendish, who had married the 5th Duke of Devonshire two years earlier, was admired as ‘the Beautiful Duchess’. Over the next ten years Georgiana also established herself as a leading light in London’s political life, notably through her association with the Prince of Wales, and the Whig politician, Charles James Fox. By gentle HAND each hour thou now art fed, That well repays thy LOSS OF LIBERTY, And near the lovely Maid is now thy bed, With whom the Virtues, and the Graces Dwell. This portrait is a poignant record of the friendship between two young men. On the left is George Huddesford, a satirist and amateur painter. 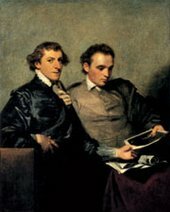 Beside him is John Bampfylde, whose reputation as a musician and poet was shortly to be eclipsed by his trial for the attempted molestation of Reynolds’s niece, and his subsequent decline into insanity. They are shown examining an engraving of Reynolds’s portrait of their teacher, Joseph Warton, Master of Winchester College. 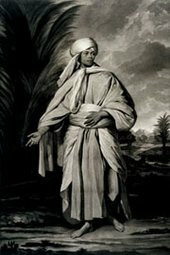 Omai had returned to the South Seas with Captain Cook in 1776. 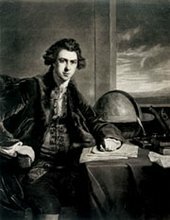 Reynolds’s portrait of him, and this print made after it, became a focal point for discussions about the relative merits of ‘civilisation’ and ‘nature’, and the controversial role of Pacific exploration in exposing cultures previously unknown to the West. This magnificent print is based on the self-portrait Reynolds made for the Royal Academy in London. Chambers was the architect of Somerset House, from 1780 the home of the Royal Academy. It is shown here in the background of his portrait. Chambers was also the Academy’s treasurer and a close colleague of Reynolds. Nevertheless, the two were often at loggerheads, vying for supremacy within the Academy. Chambers also coveted Reynolds’s presidency, which he felt ought to have been his in view of the key role he had played in creating the institution. Tarleton boasts of having BUTCHERED more MEN and Lain with more women than anybody else in the ARMY. 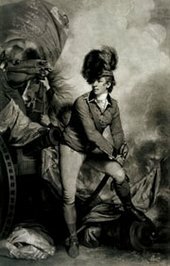 To the British, Banastre Tarleton was a brilliant soldier who fought valiantly in the American Wars of Independence; to American patriots he was a merciless martinet. Reynolds shows Tarleton in the heat of battle. His pose is a deliberate echo of a celebrated classical statue of a Roman patriot named Cincinnatus, who put down his ploughshare to join in battle against the Sabines. Orléans was a close friend of the Prince of Wales, who commissioned this portrait. He is shown in the guise of a military hero, but in fact he lived a life of self-indulgent luxury. The richest man in France and a thorough Anglophile, he was renowned for his liberal views and his debauched behaviour. Although his conduct was vilified in conservative circles, Orléans was among the guests invited to the Royal Academy’s annual dinner in 1786, where he was seated directly beneath his portrait by Reynolds. Somebody said at the Academy meeting…- SIR JOSHUA carries his own Trumpet I see; Yes replies James but you may observe other people BLOW it for him. This print was not published until eleven years after Reynolds’s portrait of Mrs Billington was completed. 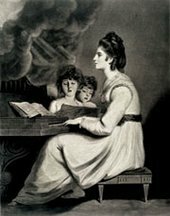 This time-lag is probably explained by the singer’s career: she had left England in the mid 1790s, but gossip about her renewed later when she returned to escape a violent second husband, who was arrested and deported when he tried to follow her. By the early 1800s she was commanding huge fees for her performances at Covent Garden. The picture shows the academicians of the Royal Academy assembled in the Life Room, then situated in a disused royal apartment in old Somerset House, on the Strand. Reynolds stands left of centre, holding his silver ear trumpet and talking to the Academy’s Treasurer, William Chambers. To the right of Reynolds is William Hunter, professor of anatomy at the Royal Academy, stroking his chin as he contemplates the models. This print shows George, Prince of Wales, and Reynolds standing in the centre of the Great Room at Somerset House. It was in this room that the annual Royal Academy exhibitions were shown from 1780 to 1836. You can still visit the room, which is now part of the Courtauld Gallery, on the Strand. The Greek inscription on the print appears above the entrance to the Great Room; it translates as ‘Let no one who is a stranger to the Muses enter’.